The back brace controversy rages on, with healthcare professionals advising against them, while commercial industries sell them in large quantities. Why does a cheap and simple piece of elasticated material spark so much debate? Here is the issue from my viewpoint as a spinal surgeon. 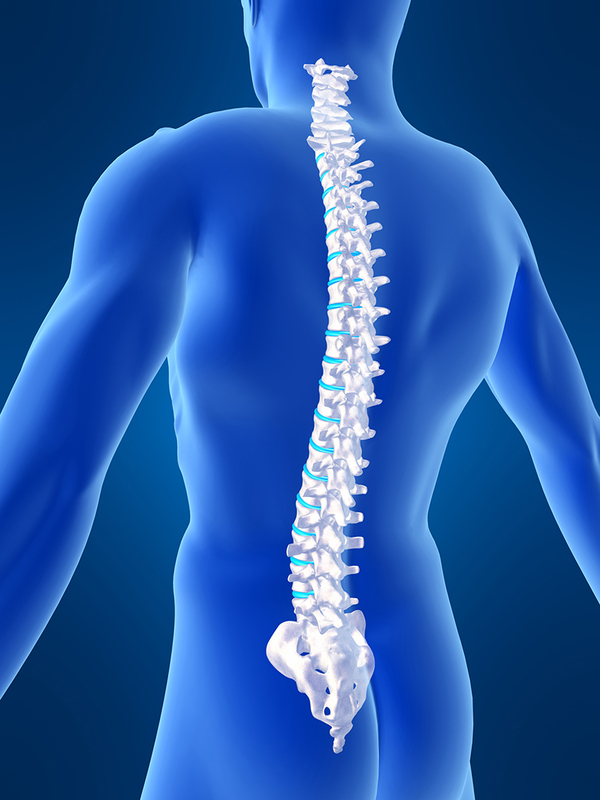 The spine is a long articulated structure, designed to move in all planes as well as to protect the spinal cord and provide attachments for our head, arms and legs. The spine tapers in size from the large vertebral bodies at the base of the spine, to the delicate vertebrae in our neck. The larger vertebral bodies in our lumbar bear more weight than the smaller vertebral bodies in our neck. The head weighs approximately 5kg and this is balanced on top of the spine. The torso is supposed to weigh approximately 70Kg in an adult male, but this weight is influenced by our love of food and fear of movement. The spine is designed to rotate, extend and flex, but we habitually flex the spine forward and avoid rotating and extending the spine. From the first day at school onwards, we sit down and bend forward for several hours a day. Apart from the obvious eccentric loading that we place on our spines by performing this activity, we also deny our shock-absorbing discs the nutrients that are needed to keep them healthy. The discs don’t have a dedicated blood supply and they rely on spinal movement for nutrients to passively diffuse into the discs for nourishment. This does not happen when we keep our spines still. Spinal loading is influenced by posture. Most of us slouch – even if we correct ourselves periodically, we drift back into a slouching position. A simple test to prove this is to sit in the driver seat of a car and sit upright, adjusting the rear-view mirror so that the visibility is good. At some point, you will catch yourself wanting to adjust the rear-view mirror, since your height has dropped in your seat as you have gradually drifted into a slouched position. The slouched position pushes our centre of gravity forward, which causes eccentric loading on the lumbar discs as a result. So, we gradually develop stiff and worn spines, purely due to lack of movement of the spine in all directions and lack of appropriate posture to load the spine correctly. Most of us suffer with a bad back on occasion and a lot of us develop neck and shoulder pains as well. When we accept that the reason for developing back pain is due to lack of movement and poor posture, then it seems counterintuitive to artificially stiffen the back even further by wrapping it up in a brace. Braces are stiff and inflexible, so they reduce spinal movement and should, therefore, add to the problem of spinal deconditioning. After all, spinal motion is spinal lotion! Why stop the spine from moving with a brace? The NHS specifically recommends not using “belts, corsets, foot orthotics and shoes with rocker soles” to help back pain, citing lack of evidence https://www.nhs.uk/conditions/back-pain/treatment/ and the National Institute of Clinical Excellence (NICE) goes one step further, stating that belts or corsets should simply not be used at all https://www.nice.org.uk/guidance/ng59/chapter/Recommendations#non-invasive-treatments-for-low-back-pain-and-sciatica. Both the NHS and NICE qualify the recom-mendation of avoiding back supports by stating that there is a lack of evidence to support their use. But, as researchers have pointed out, it is very difficult to prove that a removable device has an effect, since it is very difficult to measure compliance, i.e., whether the device has been used appropriately. By contrast, when people take a tablet once a day, it is relatively easy to test whether the tablet has an effect. Do braces help back pain? To answer this question, we can look at raw data with respect to patient reported outcome measures, or PROMs. With respect to PROMs, lumbar support braces are bought online from major marketing platforms such as Amazon and e Bay. Amazon actively encourages consumer/patient feedback and it is fairly straightforward to collect the feedback, either by adding up the patient satisfaction on a 5-point scale (1-5 stars) or by reading the free text which is available online, to collate specific subjective outcome measures. So, Amazon UK has over 5000 adverts for lumbar support braces online. One type of simple double pull flexible support brace has over 4000 PROMs, with 81% of feedback being 5-stars, 15% being 4-stars, 2% being 3-stars and 1% being 2-and 1-stars. The 1-star outcomes included an allergic reaction to the material, sizing, durability of the brace and no change in the back pain. The 5-star feedback includes someone with a diagnosed L5/S1 disc issue who was struggling to move normally due to back pain, but the brace significantly eased the symptoms so that the patient could move more normally. Amazon USA also has more than 5000 adverts for lumbar support braces, with a far greater number of patient reported outcomes. One brace has over 5,400 reported outcomes, with over 80% of users reporting benefit. Here’s one such outcome (a bit anecdotal, I know, but I’m include-ing it anyway! ): “I have never felt compelled enough to write a review but this back brace made something that hasn’t been possible in about 10yrs actually possible. I have had back issues for about a decade and not one Dr has suggested a back brace. I am only able to walk for about 45min before the pain is unbearable. I love amusement parks but I have to rent one of those electric carts and it truly ruins the experience. On a whim I decided to try a brace out. I recently took my family to a large amusement park and about 2hrs in I realized that I was still walking and in what I would describe as completely bearable pain. It was about 95* and I was saturated with sweat and the brace never moved! I did readjust twice but like I said I have never used one before and figuring out the best position took a couple tries. We wound up being there from 9am-3pm I was able to enjoy the entire day walking around and on rides! Since this experience I have started to use it to be able to go on walks, shopping even just grocery shopping. I can finally enjoy/tolerate even the little things. I have NEVER written a review before but I felt I would be doing my fellow consumers an injustice if I didn’t”. How about the science behind bracing? Let’s move on to the biomechanics of a lumbar support brace. First of all, we need to define the type of brace in question. The com-mercially-available braces on the internet typically cost around £10 and most are made from a neoprene-like material, similar to wetsuit material. So, firstly, given that surfers and other wetsuit wearers value their flexibility in the sea, the fact that a seemingly supporting brace is made from a flexible material sounds odd. These flexible braces do not cause muscle weakness in the back (Azadinia, Spine Journal, 2017). 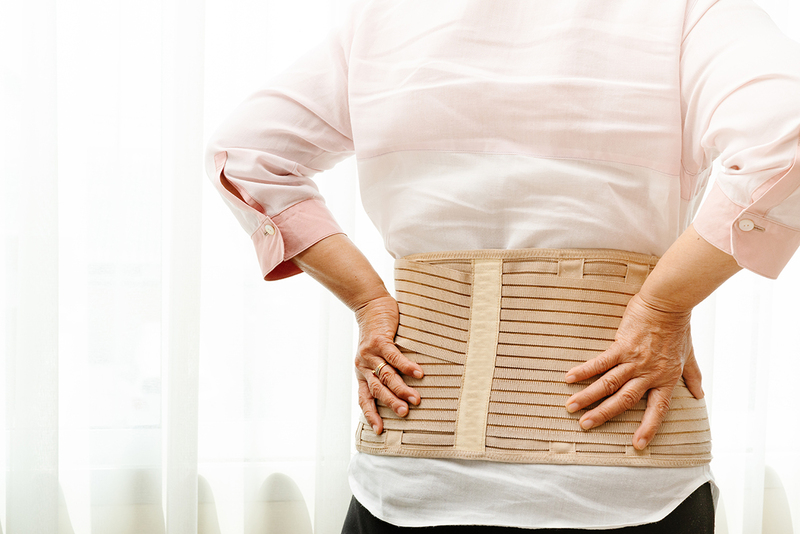 In January 2019, a group of researchers studied the influence of elastic lumbar support belts on muscle function in patients with non-specific acute lower back pain and found that there was no muscle deconditioning when the support was worn for three weeks continuously. The researchers also found that the braces reduced the level of back pain reported in the study https://www.ncbi.nlm.nih.gov/pmc/articles/PMC6345453/. An article in the European Spine Journal in 2006 assessed the role of intra-abdominal pressure in the unloading and stabilization of the spine during lifting, finding that increased intra-abdominal pressure stabilised the spine. This was also reported in the Journal of Biomechanics in 1999 by McGill and colleagues. So, does the flexible lumbar support help back pain by increasing intra-abdominal pressure? There is no published data to link back pain and intra-abdominal pressure, although there is data to show that the spine is off-loaded when a flexible lumbar brace is worn. A back brace, however, causes us to lift our ribs up and away from the pelvis by squeezing our abdomen. This, in turn, straightens the spine, although again, there is no published data to record this postural change. A recent study in the European Spine Journal, Jan 2018, however, reported that when people have nonspecific lower back pain, the posture is not as good as in people with no back pain. The lumbar brace improved posture not only in people with lower back pain, but also in people who did not have back pain too. (Mi et al, ESJ October 2017). If a lumbar support improves posture, then improved posture loads the spine more correctly, which is protective. Finally then, does a flexible lumbar brace stiffen the spine? The brace seems to improve posture and improve back pain, with a popular commercial website supporting the research evidence regarding back pain improvement. But, if the lumbar brace causes back stiffness, then this can ultimately be detrimental to the spine, since the discs should have less nutrition due to the lack of spinal movement. Unfortunately, the lumbar brace seems to reduce range of move-ment, according to a recent study published in Applied Ergonomics (Shahvarpour, May 2018). However, the same study showed that the brace caused people with back pain to function more, since the brace reduced the back pain. This means that while the brace reduces the range of movement in the normal, pain-free lumbar spine, conversely, in the painful lumbar spine, the brace reduces pain to a level that people can start to move more in comparison than being very im-mobile in the absence of the brace. So, in conclusion, it is very difficult to prove whether the simple back brace truly helps people to recover from self-limiting lower back pain, mainly due to difficulty with measuring compliance. The brace, however, is a very popular device which is sold in vast quantities online, as well as being found commonly in supermarkets and pharmacies. The brace appears to help back pain by squeezing the abdomen, causing the pressure in the abdomen to increase, which in turn, causes the spine to be stabilised as well as the overall spinal posture to improve. Since the brace is essentially a type of corset, then more expensive braces aren’t necessarily any better than simple, cheap elasticated devices which are bought for under £10. There have been reported allergic reactions to some of the material that the braces are made from but there has been no published evidence to show that back braces in any way harm the spine. Should you brace yourself for back pain? It appears that in the short term, the brace is a useful tool to help optimise posture and reduce pain. When pain killing medications for back pain carry the risk of definite harm, are elasticated lumbar support braces really that bad by comparison?